We are proud to announce a partnership with Soccer Express (soccerx.com), the largest soccer sportswear and equipment distributor in Canada. As the premier international travel partner for youth soccer clubs, we will be collaborating with SoccerX to create a platform of elite training programs, team travel and clinics customized for Canadian adidas clubs. This year for the first time, the top adidas and SoccerX youth soccer clubs in Canada will have the exclusive opportunity to nominate players and coaches to participate in the generation adidas international Select program. Two talented coaches have already been invited to coach top Canadian youth soccer talent this August at Real Madrid Foundation, to train and compete against some of the world’s best. We are proud to announce that Kevin Holness from FC Regina and Diarmuid Salvadori from Richmond Hill Soccer Club have been selected for the two coaching spots for the generation adidas international and SoccerX Real Madrid Foundation Select Program. 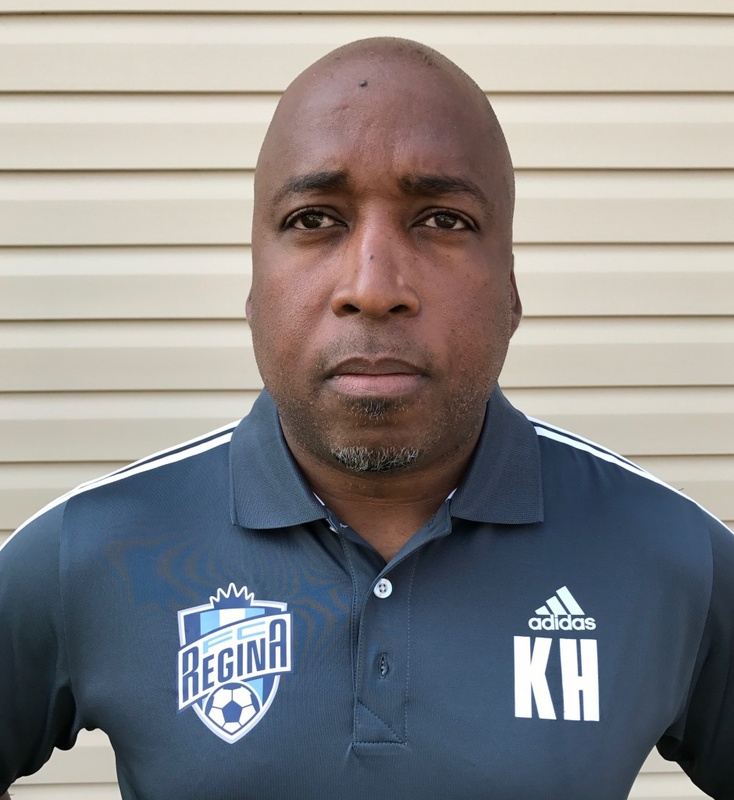 Holness is the Technical Director at FC Regina. He has dedicated his career to soccer, from his professional playing career which took him around the globe playing in the MLS and for the Canadian National team, to his extensive coaching career. Generation adidas international and Soccer Express are excited to welcome Kevin as one of the coaches that will lead the Select program overseas this summer. For a more detailed coach profile, see his bio here. Salvadori is the Head Coach of the ’02 Boys squad at Richmond Hill Soccer Club and he brings over 30 years of coaching experience from around the globe. Salvadori also brings a wealth of experience from the pitch and boardroom, having held positions with the Ontario Soccer Association and currently serving as the President of the Richmond Hill Soccer Club. For a more detailed coach profile, see his bio here. In addition, generation adidas international is partnering with Soccer Express to operate Real Madrid Foundation Clinics in four different locations in Summer 2018. Clinics will be hosted by top adidas youth clubs Coquitlam Metro-Ford SC, Pinnacles FC, FC Regina, and Whitby SC. generation adidas international is proud to offer top Canadian adidas youth clubs an exclusive soccer experience in Spain through its partnership with the Real Madrid Foundation. This invitation only program offers elite training and competition and provides unique insight into the youth development approach of the worldʼs most famous soccer clubs. Selected players will train with qualified and experienced professional Real Madrid Foundation coaches, selected by the Real Madrid C.F. Academy director. This experience takes place at Real Madrid City’s state of the art training facilities, and provides an inside look at the daily life of an Academy player. This is an exclusive chance to live “fútbol” in one of the world’s most passionate soccer countries! Real Madrid C.F.’s multitude of trophies include 33 La Liga titles, 19 Copa del Rey titles, and 12 Champion’s League titles. Salvadori will have the opportunity to collaborate and engage with the Real Madrid Foundation coaches and coach our Canadian squad against professional academies in Spain. Love football? Come receive world-class training from Real Madrid Foundation coaches. This is a once in a lifetime opportunity for children ages 7 to 14 to receive world-class training while enjoying the beautiful game. Don’t miss out on this action-packed experience. The clinics are powered in the U.S. and Canada by the leader in soccer development and travel, generation adidas international. generation adidas international connects adidas youth soccer clubs to the world’s top academies and tournaments, giving them access to world-class developmental opportunities. We play an integral part in strengthening the ties between adidas youth soccer partners and global adidas assets. generation adidas international’s extensive catalogue of programs features access to the world’s top tournaments and academies such as A.F.C. Ajax, Real Madrid Foundation, and S.L. Benfica. With generation adidas international, premier adidas partners will have incomparable access to our international training programs, tournaments, clinics, and coaching education courses. With offices and distribution points in Vancouver and Toronto, Soccer Express was founded in 1998, and is a major distributor of apparel, equipment, footwear, field accessories, and related products for soccer clubs, teams and players in Canada. Leader in the Canadian industry, Soccer Express is the largest and leading independent distributor of soccer apparel and related products in the country. With its 75 employees, Soccer Express efficiently services a wide network of clubs, teams and wholesalers. Congratulations Kevin Holness! What a great opportunity! Kevin has been a fantastic ambassador for soccer in Regina and in Saskatchewan! Make the most of this opportunity and enjoy every minute! Can’t wait to hear it!! !